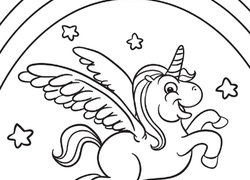 Let your imagination fly with this fantastical coloring page, featuring a winged unicorn flying in front of a beautiful rainbow. 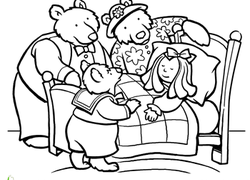 Use this fun coloring sheet to make the story of Goldilocks and the Three Bears come to life for your child. 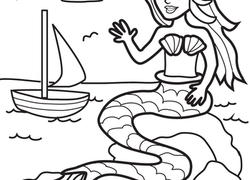 The princess on this coloring page is suffering through a sleepless night -- all because of a tiny pea! 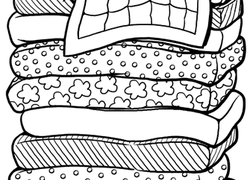 Colour in Anansi, a crafty spider who spreads wisdom and knowledge wherever he goes. 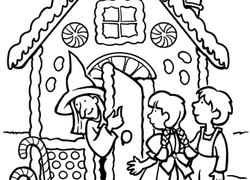 This story time coloring page features the candy house from Hansel and Gretel. 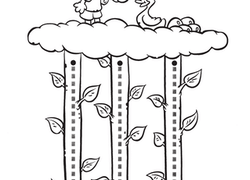 Here's a coloring page featuring the Three Little Pigs and the most famous villain in storybookland, the Big Bad Wolf. 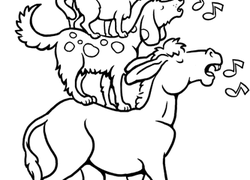 This coloring page features the characters from the famous fairy tale, The Bremen Town Musicians. 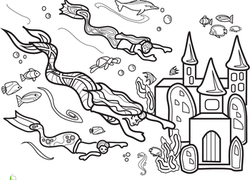 The Gingerbread Man is kicking up crumbs! 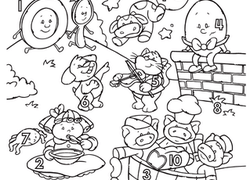 colour the gleeful cookie in this gingerbread man coloring page. 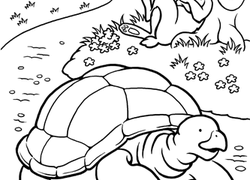 Slow and steady wins the race! 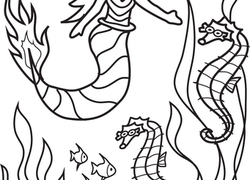 Remind your child of this lesson with a story-time coloring page.